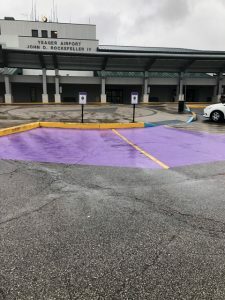 Calling all humans, pets, and service animals–come paw-ty with us! 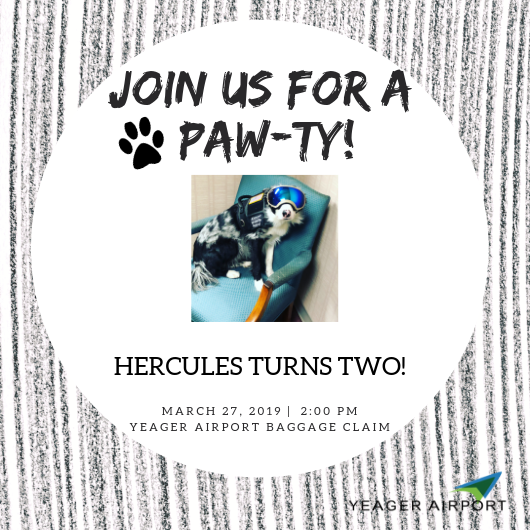 You’re invited to come and celebrate our sweet pup’s second birthday! 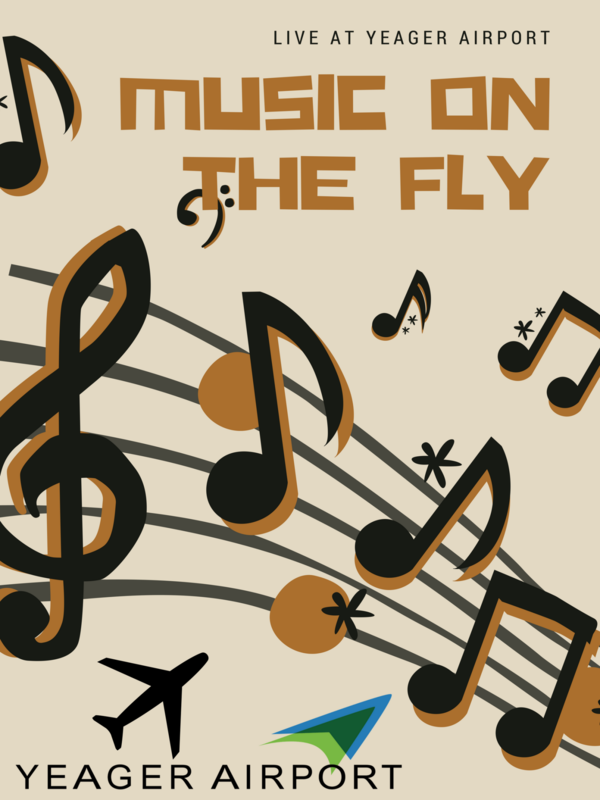 Wednesday, March 27th from 2:00 – 3:00 PM, in baggage claim! 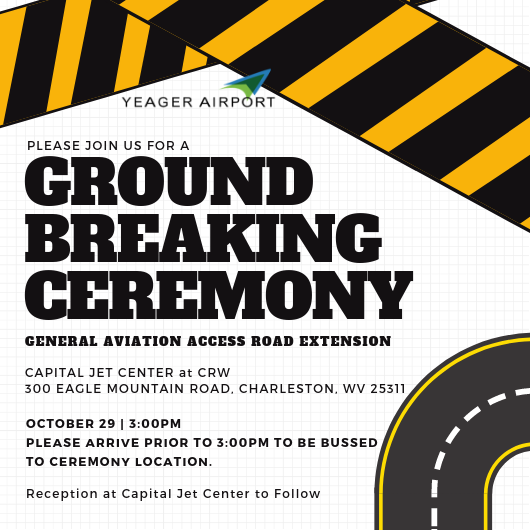 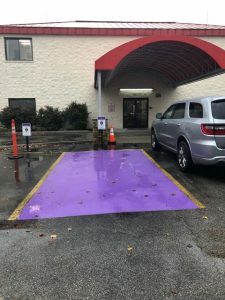 10/24/2018 – Yeager Airport Breaks Ground on $4.1 Million General Aviation Road Expansion – Please Join Us!